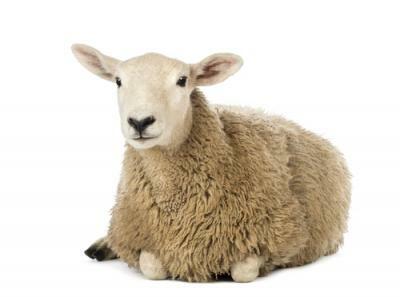 According to the Chinese Zodiac calendar, 2015 is the year of the sheep. So when the world's largest population rang in the New Year last week, those cute little wool bearers were at the center of the celebration. Chinese astrologers view sheep as the most likeable of all animals, highly valued for their calm and gentle nature. This soothing image is no doubt why mattress company Serta chose them as its mascots (that and their willingness to line up and jump fences for people to count while drifting off to sleep). Image is important. When it comes to image, Walmart just took an enormous step towards changing its perception in the eye of the public. Before you nod off, we note that Walmart recently announced all of its US employees will be paid significantly above the national minimum wage. Walmart is the biggest private employer in the US with some 1.4mm employees, but most of its workers have remained firmly on the lower rungs of the economic scale. This has not always been the case; some of us can remember the Walmart of the old days when cashiers, through their ownership of company stock and long time association with the company, ended up quite wealthy. This was also a time when Walmart proudly asserted that the goods it sold were "Made in America." The retailer's model has been very different for the past 20Ys, emphasizing selling goods for the lowest price. The low cost model required that goods be imported and that wages and staffing levels be kept at rock bottom. Walmart's announcement last week was based on the calculation that low staffing levels and the dissatisfaction of its workers had led to a poor customer service experience. Community banks are familiar with the quality versus quantity debate, whether the question is trying to compete with the biggest banks on pricing of loans and deposits, how much staff to keep on hand, or the optimum number of branches. The seismic shift in bank customer preference over the last two or three years has banks of all sizes debating the same questions. Everyone knows that the efficiencies of scale big banks can offer also means cheaper lending rates. Community banks have always operated with success using a higher touch, customer service oriented model. This is what has differentiated community banks in the eyes of customers, despite what millions of dollars of advertising by the big banks may proclaim. The question of staffing levels was viewed as an important part of Walmart's customer service problem, but is a little trickier to solve in bank branches. Customers don't like to wait in the teller line, but banks also cannot afford to have tellers who are idle for much of the day. Having better trained employees who are able to carry out a number of different roles in the bank is a logical solution, so that customer service staff levels can increase at busy times but also so other important tasks can be efficiently accomplished. Employees who feel empowered and have multiple skills are also likely to be more satisfied and therefore provide better customer service. Walmart's chief executive noted that the company views investing in its staff as something which will equate to a better customer experience and therefore more sales in the end. This is not a new concept for community banks, but with the heightened public discussion, it's a great time to review your bank's policies towards employee advancement, benefits, educational opportunities and pay. At a minimum, everyone will sleep better. Treasury yields fell 5bps as testimony from Fed Chairman Yellen did not eliminate the possibility of an interest rate hike some point after midyear. Yields are currently unchanged ahead of new home sales. 1) Community Bank ($7.5B, NY) will acquire The Oneida Savings Bank ($798mm, NY) for $142mm in cash and equity. 2) The parent company of The Union State Bank ($250mm, KS) and The City National Bank and Trust Co of Guymon ($184mm, OK) will acquire RelianzBank ($51mm, KS) for an undisclosed sum. JPMorgan said it would cut about 300 branches (5% of its overall footprint of 5,602) by the end of 2016 as it adjusts to changing customer habits. Research by MoneyRates.com finds the average monthly maintenance charge for a checking account reached $12.87 in the final half of 2014, a record high. Other findings: 26% of checking accounts do not charge a monthly fee (lowest since 2009); average overdraft fee was $32.47; average minimum balance at banks with assets $10B+ to avoid monthly fees is $9,780.95. Nikkei reports Fed SF President Williams said the June FOMC meeting is the "time that we should have, obviously, a serious discussion about whether we should go now or wait (to raise rates)." The Society of Actuaries now estimates the average 65Y old woman today will live 88.8Ys and men will live to 86.6Ys vs. 86.4 and 84.6, respectively back in 2000. This is the first revision of mortality assumptions since 2000. The Wall Street Journal reports JPMorgan plans to reduce its deposits by $100B by the end of this year, by charging some large institutional customers to leave money with the bank. Customers reportedly most likely to be impacted include hedge funds, private equity firms and foreign banks. JPMorgan is reportedly taking the action in response to regulatory changes and lower profitability on these customer accounts. A survey of banking customers worldwide by Bain & Co. finds that when people research and buy new banking products, 47% consult their primary bank's website, 37% talk to bank employees and 19% consult the mobile app.